Thank you to Pantene for sponsoring this post, and as always, all opinions are my own. Hello friends! 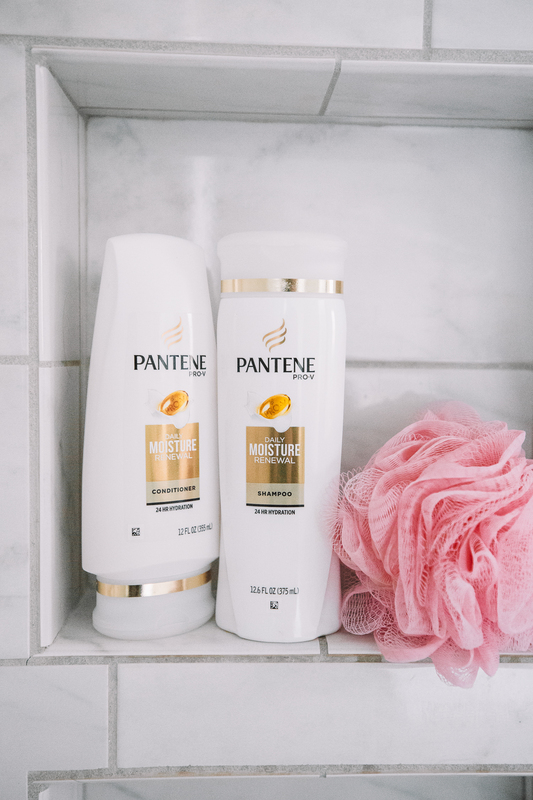 If you follow along on Instagram, then you probably know by now that I partnered with Pantene to take the Pantene 14 Day Challenge. Before I say anything else, I want to reiterate that any time I work with a company, I 100% love and use their products, and this is the case with Pantene as well. I remember picking up my first bottle of Pantene in middle school like it was yesterday! For the challenge, I only used the Pantene Daily Moisture Renewal Shampoo and Conditioner for the entire 14-day period. You guys know I don’t wash my hair every day, but I did wash my hair twice each week during the challenge, for a total of four washes. My hair is naturally wavy, very thick and always a little bit dry (probably from so many heat products), and the Pantene Daily Moisture Renewal Collection is specifically formulated for curly/wavy hair prone to frizz. The shampoo and conditioner made my hair feel softer and more manageable. I also curled my hair twice during the two-week period and definitely noticed that my curls stayed intact for longer, even after sleeping on them. This is probably from being more moisturized! What do you guys think?! I was shocked by the difference – in the “after” photo, I can tell a noticeable difference in the shininess of my hair! Even the ends look better in the “after” photo (although it’s definitely time for me to get my hair trimmed again… it’s been five months since my last trim!). 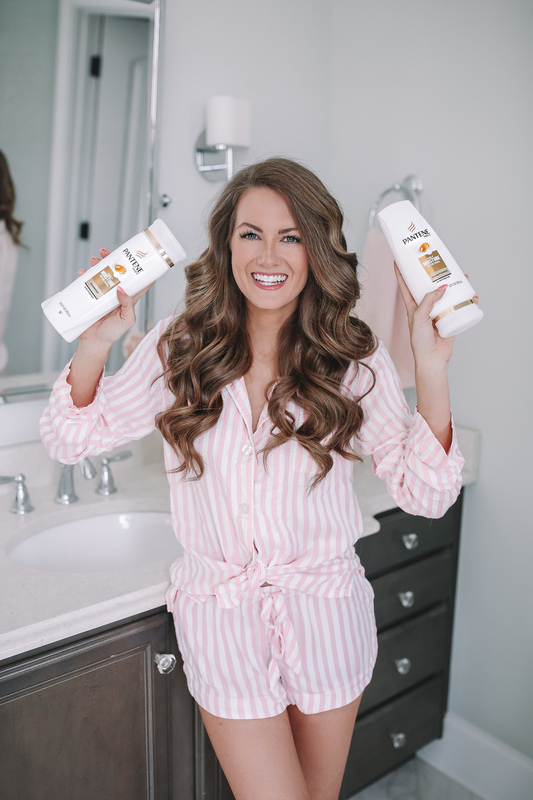 According to a recent Yale University study, only 1 in 10 women experience a great hair day regularly, and Pantene has set out to change this! 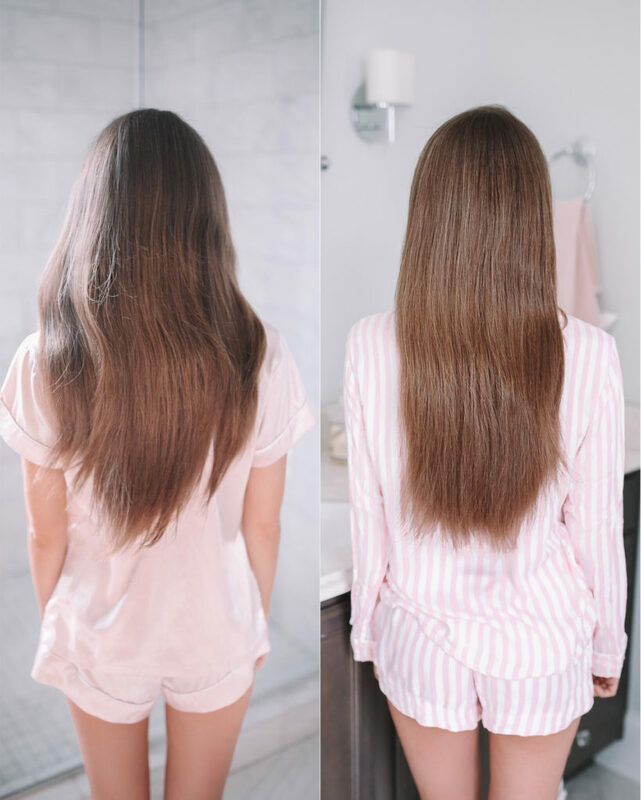 If you guys want to try out the Pantene 14 Day Challenge for yourself, they make a collection for every single hair type. In addition to using a high-quality shampoo and conditioner like Pantene, I highly recommend taking care of your hair in general. I always sleep on a silk pillowcase, use heat protectant, and curl my hair as little as I can get away with. All of these things combined really help make your hair the healthiest it can be and can guarantee more great hair days in your future! If you’re interested in this shampoo and conditioner visit Walmart for a pretty great deal here. Want to try the large conditioner pump? See here. Also thank you guys for all your tips on how to deal with food poisoning on yesterday’s post!! I tried some apple cider vinegar yesterday morning and felt SO MUCH better afterward! This does look like a very interesting challenge! I very much like Pantene conditioners and hair masks, however their shampoos always seem a little bit too potent for me as I have hair that gets oily quite easily. your hair is always UNREAL. Curls so effortlessly and beautiful!! I seriously love pantene! The shampoo is always the best for me!